We are firm believers in the phrase “work hard, play hard” here at LW. 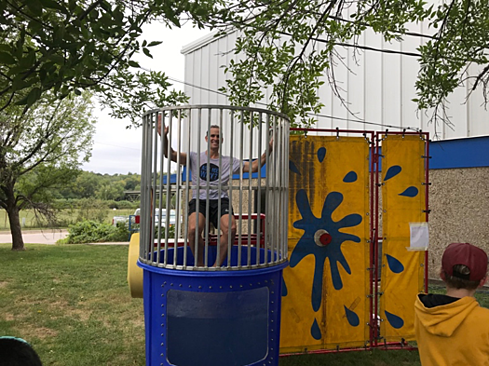 We often find ourselves doing little things from Hawaiian shirt day and Thanksgiving potluck lunch, to bigger events like the Rugged Maniac 5k obstacle course race we did as a company last year. 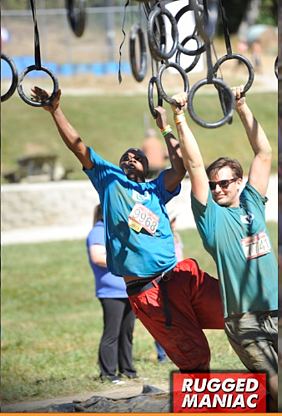 Rugged Maniac was an exciting all-day event that tested everyone’s physical and mental strength. 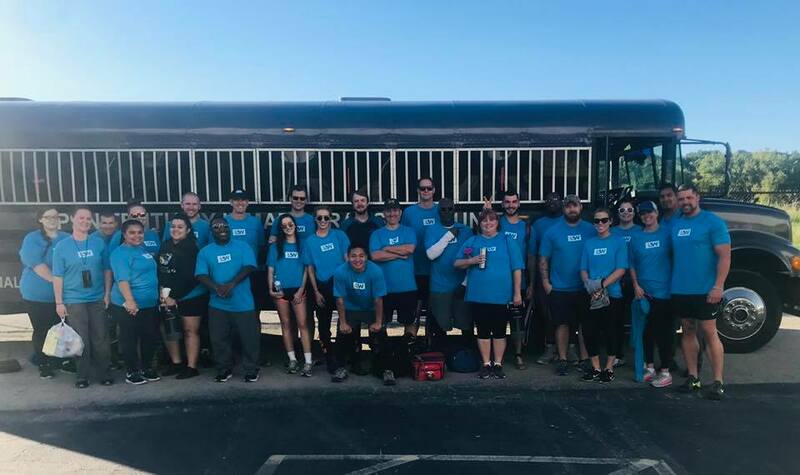 We put on our team shirts and met at LW early in the morning, where around 30 employees started the party by loading the bus in route for the race. The obstacle course was no joke! We worked together to make sure everyone that started the race, finished it. Despite the mud, sweat, tears, and injuries, it was a blast to see all different levels of athleticism come together and help each other overcome obstacles, both literally and figuratively. A definite must-do again in 2019. Probably the most popular event employees look forward to every year is our company picnic. It serves as a way for LW to thank employees for all their hard work. Employees bring their family to enjoy the BBQ, participate in the dessert contest, jump around in the bounce house, and, of course, (hopefully) win some raffle prizes. We also use this event to honor employees with ten-year anniversaries. It’s a day that somehow gets better and better every year. The common denominator in all these fun events is the fact that we get to spend time together, which definitely adds depth to relationships and improves the work environment. At Laminate Works, we live out Our Mission: to use our everyday, ordinary lives to serve others, by building a culture that fosters relationships that go beyond working hours. Over the past few years, we have partnered with local charities and organizations to form the Employee Volunteer Program (EVP). EVP events encourage employees to come together to both serve the community and get to know one another better outside of the office. The hope is for employees to invite their families, friends and neighbors to participate in the events. Then, in the future, someone who came to an EVP event may be looking for a job and consider LW based on their experience. Over the last year, LW employees have participated in various volunteer events at many local organizations. We have helped at Adelante Thrift, packaged meals with Something to Eat, cleaned the campus and became lunch buddies at John Fiske Elementary, served dinner at City Union Mission, processed diapers at Happy Bottoms, helped prep a new space for The Urban Farming Guys, painted a home alongside a surprise celebrity guest for Habitat for Humanity, and finally served as “personal shoppers” at the Cross-Lines Christmas store. It is always a great bonding experience among employees, family, and friends, and everyone leaves feeling like they have contributed to our community. We are excited to get involved even more with organizations we have worked with in the past, as well as brand new projects with new organizations here in our neighborhood in the coming year. Taking a mid-day break to spend quality time with fellow team members is a great way to build relationships that go beyond office responsibilities. 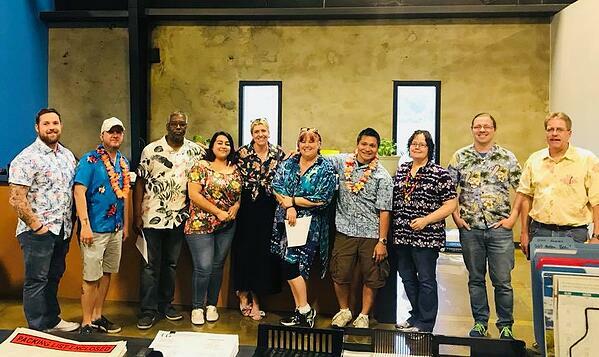 For nearly 10 years, several LW employees have come together weekly for Taco Tuesdays at Margarita’s, a Mexican restaurant near the Kansas City plant. More recently, employees have taken to new hobbies over their lunch break as a way to get out of the office for a bit, while getting to spend some time with coworkers. 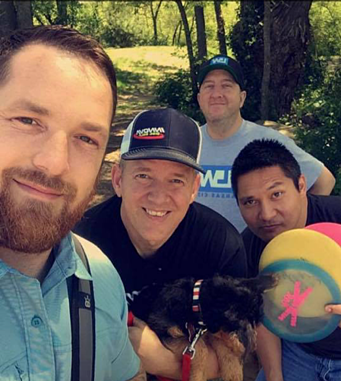 Some employees retreat to a local park for a game of disc golf, and some squeeze in a mid-day gym session. The office culture has been impacted for the positive from the bonding and friendships among coworkers. It’s also a great way to get moving and gives employees something fun to look forward to. We had a great year growing our culture at LW and can’t wait to share all the exciting things we have planned for this coming year! (Spoiler: we have been in business 20 years and that calls for a celebration.) All that being said, we think LW has some pretty great employees. It is amazing to see how much adding fun activities can really impact the culture in the workplace, which ultimately effects how well the team works together. If you think you’d fit in with our culture, we would love for you to join us!